Kik Messenger, which was launched in 2010, has garnered a loyal following due to being free of charge, preserving anonymity of users, and its various helpful communication-related features for Android and iOS operating systems. On it, one can send and receive sketches, videos, photos, messages, and etc. There are currently more than 300 million people around the world taking advantage of Kik. It has definitely given social life as we know it a positive 180-degree turn. Even so, just like it is with any other messenger, deleting Kik account may be an action one might need to undertake due to a certain reason. Part 1: Why Need to Delete Kik Account? Part 4: How to Backup Kik Messages before Deleting Kik Account? There is not one single motive as to why one would want to delete Kik account. 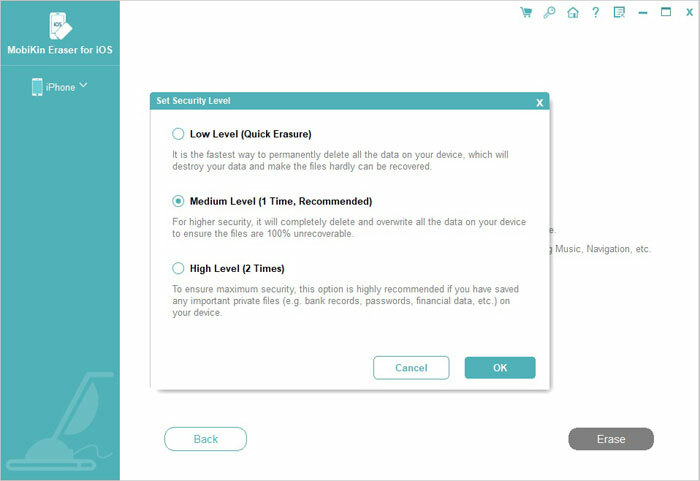 When it comes to the application itself, you may want to delete it as well as deactivate account if planning on selling device. It is important to highlight that opting to just erase application is not always a safe option if you do not have an effective solution at hand that ensures nobody will be able to retrieve application and somehow get into account due to password being saved. The reasons are endless, but whatever it is, you can certainly delete Kik account successfully if you put into practice the following suggestions. How to Delete Kik Account from Smartphone? There are only a few steps that need to be undertaken in order to delete Kik from smartphone. If you follow them to a "T", you will be well on your way. 1. Open Kik application on device. 2. Click on "Settings" in order for menu to appear. 3. Click on "Your Account" on the menu. 4. Click on "Reset Kik" on "Your Account" page. 5. Redirection will take place to a page where you will be prompted to type email address in order for a Kik account deactivation link to be sent. 6. Check email to click on the link. By doing so, you will deactivate Kik account; thus, you would be able to proceed to uninstall Kick application from device. How to Delete Kik Account from PC? Just as it is a piece of cake to delete Kik account from smartphone, it is just as much when deleting Kik account using PC. 1. Open browser on computer. 2. Log on to https://www.ws.kik.com/deactivate in order for Kik account deactivation page to become visible. 3. Type email address registered with Kik account. 4. After email has been typed, click on "go". 5. Confirmation email will be sent. Check email and click on confirmation link. Click on it to be redirected to a webpage, one that will prompt you to choose reason for deleting account. Once reason has been specified, proceed to delete Kik account once and for all. After following the previously mentioned steps that lead to application deletion, you might think that it would be as simple as just deleting app with a click. By doing so, it will be removed, but one cannot guarantee that a permanent deletion has taken place. 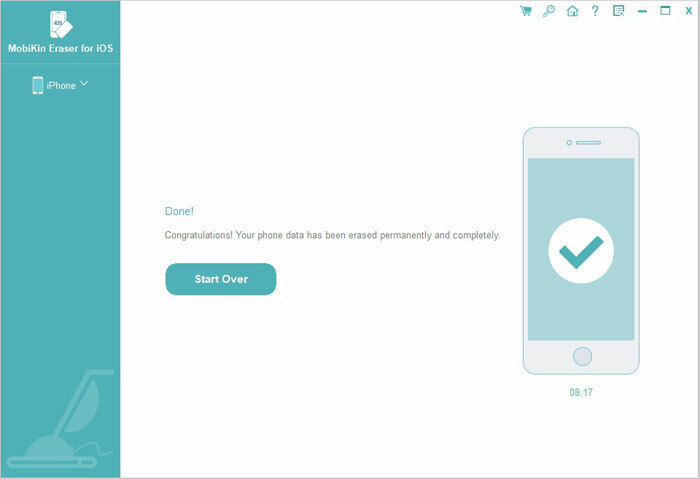 If you value personal information, it is best to ensure a permanent deletion of app with the aid of first-class software, such MobiKin Eraser for iOS (Windows/Mac). 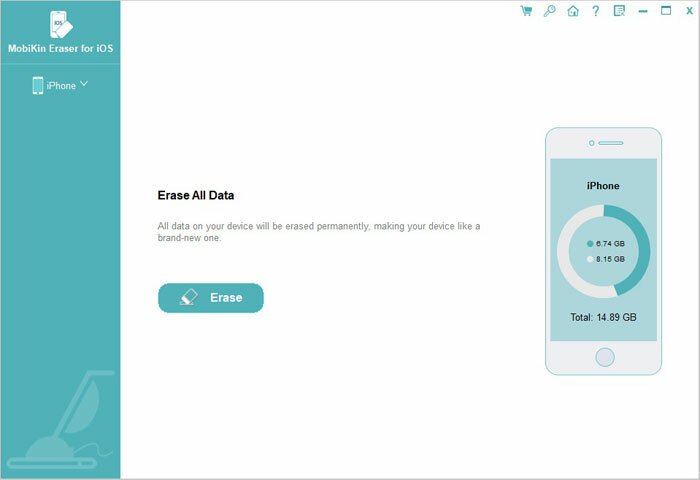 Not only will it erase application for good, but it can also be utilized to erase anything else on device, such as contacts, messages, photos, videos and many more; therefore, it can serve you this time around, as well as in the near future with other types of deletions. It is very easy to use. You just download it, launch it, connect device to PC, and then proceed to click on app that needs to be permanently erased. Quite easy! There is no other program can do the job as easy as it on the market, hence why it is a favorite around the globe. This software is compatible with almost all generations of iPhone, iPad and iPod, such as iPhone Xs/Xs Max/XR, iPhone X/8/8 Plus, iPhone 7/7 Plus, iPhone 6s/6s Plus, iPhone 6/6 Plus, iPad Pro, iPad Air, iPad mini, iPad 2, etc. Free download the program and follow the steps below to remove unwanted ringtones from iPhone in batches. Launch the installed Eraser for iOS on your computer and then link your iPhone or iPad to the computer via the USB cord. Once connected, you will find the basic information of your iPhone displayed on the main interface. Just tap on "Erase" button on the interface to proceed to the next step. After that, you will be allowed to choose a security level you need by clicking on "Medium", which will bring out a window for you to choose a level: Low - Medium - High. Choose the right erasing mode according to your need and type in "Delete" in the input box. Finally, tap on "Erase" button and the program will begin to erase the connected iPhone or iPad. Please do not plug out your device during the erasing process and when the erasing process ends, your iPhone will be restarted. 1. You can see up 1,000 messages of chat logs that have been conducted in the last 48-hours. For chats that have passed the 48-hours mark, only 500 messages will be visible. Check history of device to find location of messages in local data. 2. Another method is by taking screen shots of each message by using either your device, or an external camera. This method can be quite tedious, especially if you want to backup several messages, but if it is only a handful, it can certainly be beneficial. You can save Kik chat history on Android, but it is important to be aware that there is a limit as to the amount of messages that could be saved. In general, you are only allowed to save 600 messages in the last 48 hours. So, when you want to back up Kik chat on your Android phone, you should go to action right away. You can take screenshots from your built-in Android system or use another device to take a snapshot of the messages you want to keep. If you follow the previously mentioned steps, as well as obtain the aid of first-class software, like iPhone Data Eraser, to permanently delete Kik account, you will certainly be taking the easy and effective route; thus, you will have one worry less. 6 Ways - How to Delete Photos from iPhone but Not iCloud? Can't Delete Photos from iPhone/iPad? Here are Solutions!